BEAUFORT, S.C. - Oct. 18, 2018 - PRLog -- Joyce Gilliard is a Published Author, Activist, Educator, Motivational Speaker, Founder of the SC Hair & Makeup Network And Founder of the Non-Profit Organization, iSAFE! TV & FiLM, LLC and has nearly 30 years experience as a Hairstylist. She is the mother of 3 and married to retired Army Sergeant First Class Tracy Gilliard, Sr. For her extraordinary achievements in the Film and Television industries she will be presented the prestigious "Behind the Scenes" Award d at the 13th Annual Beaufort International Film Festival taking place February 19-24, 2019 in Beaufort, SC. After graduation from high school in Charleston, SC, Joyce attended Farrah's Beauty School and was certified as a South Carolina Cosmetologist. Many years of working in the industry, especially aboard military bases, prepared her for the opportunity in 2006 when she was hired as a Background Artist on the hit television series, Army Wives. She worked her way up to become one of the Hairstylists on the show. While working on Army Wives, she became the first African American hairstylist in S.C. to be accepted Into the IATSE Local 798 Hair and Makeup Union. Joyce went on to work as hairstylist and mark-up artist as she travelled around the country to work on over 75 films, television programs, or commercials. Some of her other film and television credits include The Hunger Games, Paper Towns, Banshee, Goosebumps 2 and Sleepy Hollow. On February 20, 2014, Joyce's life changed forever. She was working on the film, Midnight Rider, when a train came barreling through the set, and killed, camera assistant, Sarah Jones and severely injured her and other crew members. Joyce had reconstructive surgery on her left arm, with plates and screws. She was told by doctors, she would never do hair again and to change careers. Through perseverance, determination, hard work, rehab, and a strong religious faith, Joyce recovered sufficiently to return to the work she loves. She was interviewed by the ABC News program 20/20 about the incident. During her rehabilitation phase, Joyce went back to school to get her Masters in Cosmetology and published her first book, "The Little Book About Toxic Friendships". She wanted to do more for the film industry to bring awareness to safety on film sets and encourage crew members to speak up when they didn't feel safe. 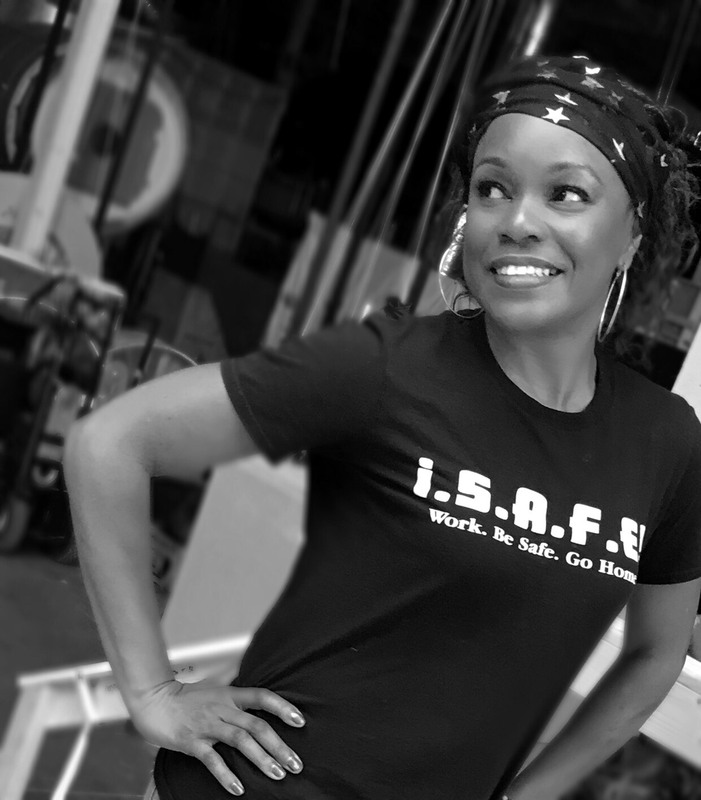 Joyce founded iSAFE! TV & FiLM, the acronym is Industry Safety Awareness For Everyone. The mission for iSAFE! TV & FiLM is promote safety awareness on television and film production sets through education, trainings, awareness, accountability and visibility. Joyce travels with iSAFE! TV & FiLM across the country and has had Safety Panel discussions in Georgia, Florida, California and Tennessee on how Industry professionals can bring change to a culture so no one gets severely injured or lose their life at work. iSAFE! TV & FILM PSA. The "Behind the Scenes" Award is sponsored by Edie Smith and Eugene Rugala.